Awesome! Glad to finally see the Royal Guards put in the game! I think I saw a new type of weapon around the 20 second mark. The male soldier is sprinting with it. Is it new? I love everything I've seen here. @Sledgehammer70 any new hero skins coming alongside this dlc or in the near future? CANT WAIT FOR THIS!!!!!!!!!!!! 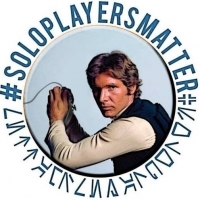 !F First of all,cant wait for dengar and lando!!!! second, look AWESOME!!!!!!!!!!! and last, i like that EA put cloud cars!!!! It looks stunning. Cannot wait to play this in a few days! getting more and more comenents ever 1,2,or3 minutes! i've allready watched it like 6 times! I cant wait!!!!!!!!!!!!!!!!!!!!!!!!!!!!!!!!!!!!!!!!! My keyboard just got really messy. And Now Where is The ION Neutralizer? SOOOO MUCH in this trailer! 2. Alderaan soldier from Tantive IV skin? It looks beautifully done! I'll be more excited if the DLC will be playable vs. bots. I can't wait to see the livestream, I'm hoping they reveal offline content that's coming soon™. 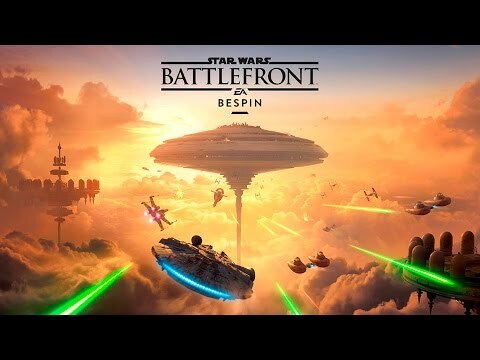 Also looks like Rebel skins have new blue uniforms for Bespin, too, but I think we knew that in the teaser. I think I saw a Royal guard with a force pike. He was close to the Carbonite chamber, anyone else seen that? Good catch, but I think once he starts running he's holding a gun. Can it be? No negative comments yet? Yep your right I looked again and once he turned his back it looked more like a gun. This is seriously one the most beautiful locations i've seen in a game. so pristine and futuristic, the wide open streets, the bridgeways in the clouds, the hue of the skies... it's so glorious! and , personally, a lot more appealing than the dreary outer rim maps. this looks like the dlc content i've been waiting for! Love the trailer watched it like 10 times already!!!1!! ( see what i did there) Cant wait to see the new imperial skins!!!!!! It really looked amazing. Although I'm wondering if the Royal Guard skin is going to be available in all maps. Don't get me wrong, it would be OK, but I'm just afraid that we'll see 50% of the Imperial team wearing the red outfit in maps like Endor. I would be weird in my opinion. Just, we can see two other weapons in the trailer. The first one in 0:10 on the rebel to the left and the other one in 0:20 on the rebel to the right. New Hutts Contracts? This. They were my favorite bad guy since I was a kid watching RoTJ (even though we really knew nothing about them. 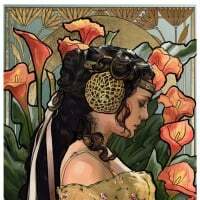 I guess like Boba Fett, lol). Indeed. Cloud City was probably my favorite location in Battlefront 1. Also reminiscent of Polis Massaa and Kamino in BF2. Same here bro, I've always loved them. Dengar looks and sounds amazing! Everything looks amazing! Go Lando! I'm done. Vestal Viking confirmed that Lando is voiced by Billy Dee Williams and Dengar by Simon Pegg! Probably why they sound so great! SWEET BILLY DEE! I knew it was real close. He doesn't sound aged at all! And Simon Frickin' Pegg. Can't ever get away from the Chief Prequel Basher. Billy Dee did the voice? That's just awesome. Is it June 21st yet!!?!? That would be nice but unexpected. I would assume that Royal Guardsmen are just skins. Fan-freak'n-tastic, DICE! I can't wait! 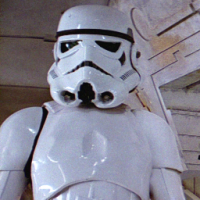 That actually makes sense, the Royal guards would not make sense as normal skins, they will replace the red stormtrooper. 0:31 Did someone just get a kill with an Impact Grenade? Impossible. Royal Guards are now going to be the emporer's guards, and the Shocktrooper is going to become a skin. Looks good. Could that pistol be the ee4? Life's a game, just without cheat codes. @Sledgehammer70 I hope we will get luke bespin fatigues skin with his proper blue lightsaber. Especially to reinact that epic duel with vader in the carbon freezing chamber. Makes no sense for rotj luke on bespin.